The Crossing Roper Bar Tour 2013 traverses this magnificent continent from west to north and west again. With it’s inspiration drawn from such a remote part of the Northern Territory, in South East Arnhem Land, and it’s collaborators brought together from both city and country , from north and south, east and west, it’s fitting that this tour will cover such enormous distances. Come on this journey with us. The tour kicks off on October 11th in balmy, tropical Darwin. While the weather warms up in Darwin, October makes it a magical place to be. The pace is slow and relaxed, the people are super friendly and there’s plenty to see and do in and around Darwin. The concert itself will be held at Darwin’s majestic Supreme Court. This magnificent building maintains the dignity and grandeur expected of such a building, yet it still reflects its unique tropical environment with both classical and tropical elements incorporated in its design with wide colonnades and verandas, shade and large overhanging eaves. It’s the perfect venue for such a remarkable concert. After Darwin, the tour heads south west to Kununurra. Meaning “big water”, in the local Indigenous language, Kununurra sits on ancient lands, while still being a relatively young town and is the gateway to the magnificent East Kimberly region. The concert itself will be held against the picturesque backdrop of historic Ivanhoe Farms on Sunday 13th october. This concert will then be followed by special concerts and community workshops at communities on the Dampier Peninsula, 200km north of Broome. In this region we’ll be visiting One Arm Point, Djarindjin/Lombadina and Beagle Bay communities. From there, the tour continues south to Broome, for a stunning performance under Broome’s majestic moon at the beautiful Moonlight Bay Suites on October 20th. Broome is a very special town, a place where the wilderness meets the ocean. It has a rich and colourful history, and an equally colourful landscape. 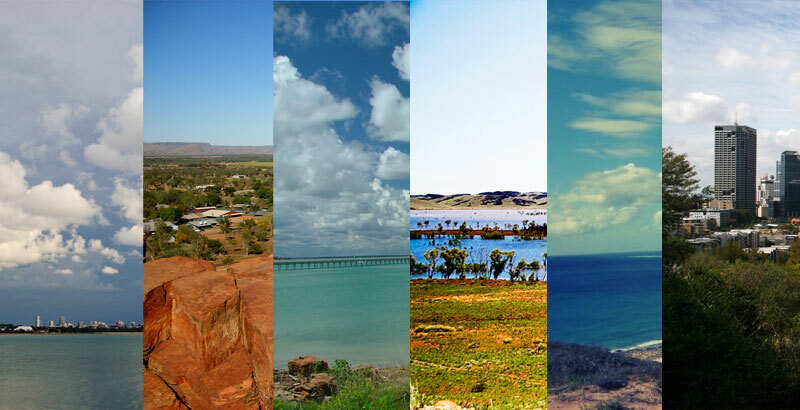 From there the tour wends its way to Karratha, one of the largest and fastest growing towns in the north of WA. The concert will be held under the stars at the beautiful Hearson’s Cove on Friday 25th October, one of the few places on the west coast where the famed Staircase to the Moon can be viewed. This natural phenomena is caused when the full moon rises over the exposed mudflats at extremely low tide, creating the optical illusion of a staircase reaching to the moon. After Karratha, we make a side trip to the historical town of Roebourne for another community concert and workshop. The penultimate concert of the Tour will be held at Exmouth’s Novotel Ningaloo Resort on Sunday 27 October. The town of Exmouth is the gateway to WA’s magnificent World Heritage Listed Ningaloo Reef, and home to some incredibly striking country. And finally, after a journey through some of the world’s most breathtaking landscapes, the tour has its final performance at Perth’s grand State Theatre Centre. Come with us on this journey through different worlds, as we bring this extraordinary event from the country to the city and the wilderness to the coast.